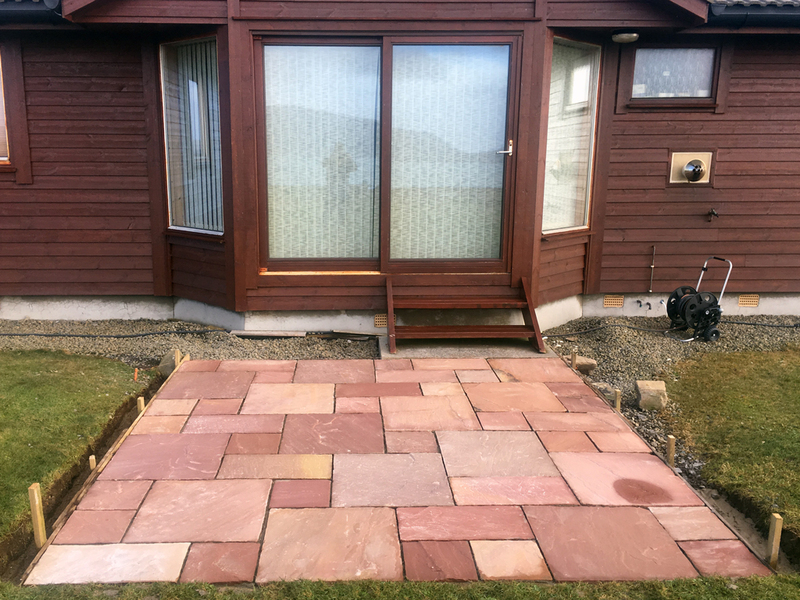 Description – pale grey shades, rustic and traditional. 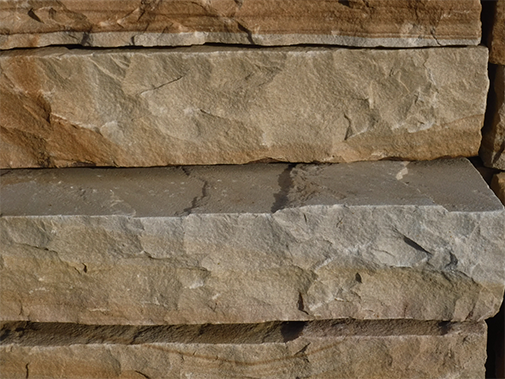 Excellent tread for steps. 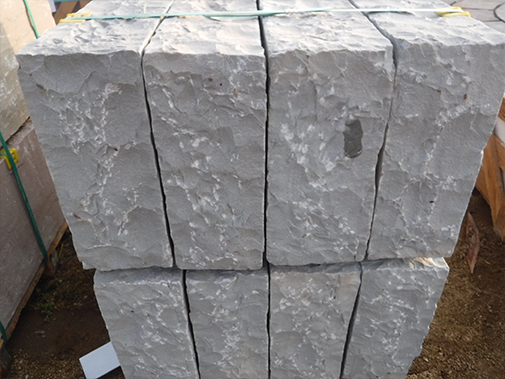 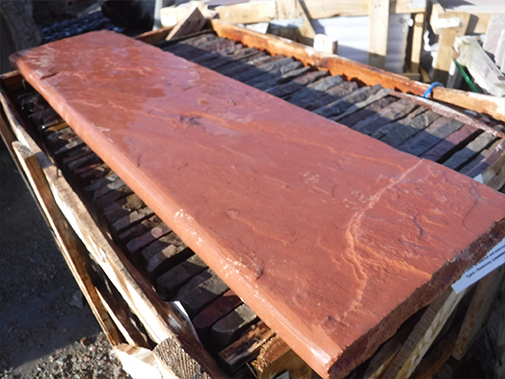 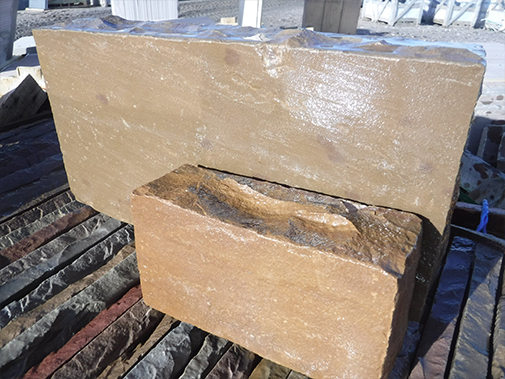 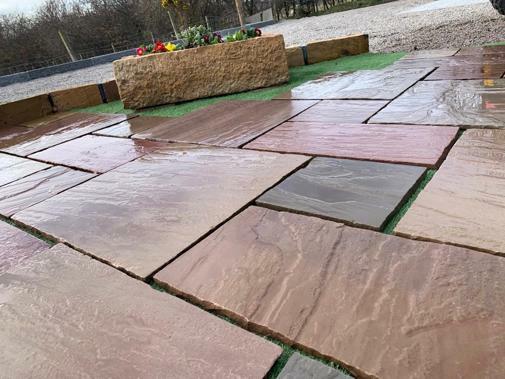 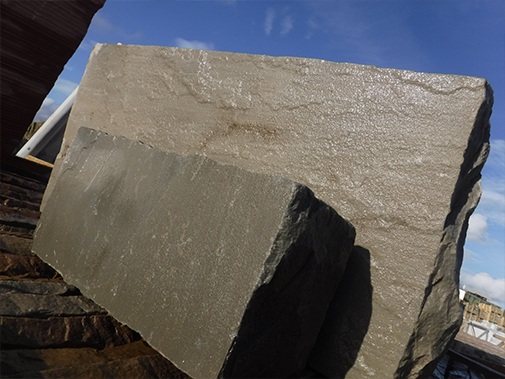 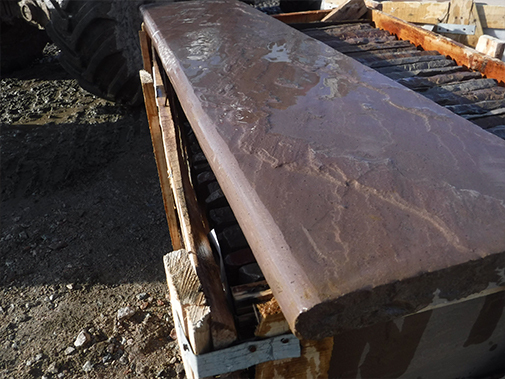 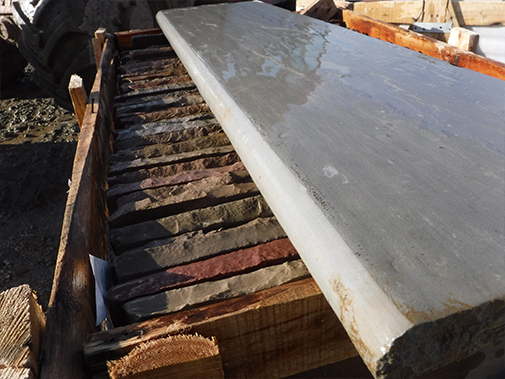 See our sandstone blocks for risers.